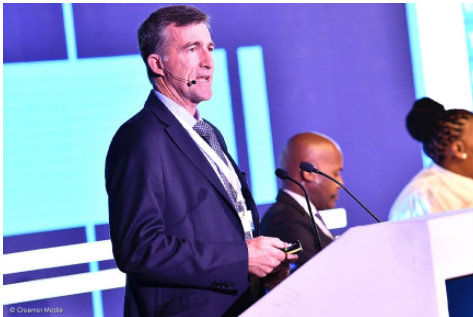 Vehicle manufacturer Toyota South Africa(Toyota SA) on Tuesday pointed to localisation and specialised component manufacturing as the top priorities in the five-year Automotive Sector Business Plan. From a component point of view, catalytic converters and engine parts are most often exported, Kirby said, and, therefore, the automotive sector business plan will focus on improving local capability to manufacture specialised components. “The South African vehicle market has been sluggish, with no stellar growth predicted for the future and, therefore, [component] imports have dominated the market. However, Kirby added that there was tremendous scope for growth, with a market gap to provide affordable components locally. Toyota SA, together with other automotive industry players and the Department of Trade and Industry (DTI) have established the Automotive Production and Development Programme Trade Related Investment Measures programme, which provides rebates on duties. Other targets in the business plan, and contained within the South African Automotive Masterplan 2035 Vision, include ensuring more 50%-black-owned enterprises in the Tier 1, 2 and 3 component industries and strengthened auto trade relations with African countries, since it is still an untapped market, according to Kirby. Moreover, Toyota SA, the DTI and other industry players have formed a Transformation Fund to grow local content, which is how jobs will be created and local purchase opportunities encouraged. The vehicle manufacturer and government are also working towards bringing the informal auto parts sector into the fold. “We need to focus on advanced manufacturing. The Fourth Industrial Revolution impacts on the motor industry and requires continuous investments from original-equipment manufacturers. “In the next five years, we will work towards stimulating local demand and domestic vehicle affordability, as well as improved industrial relations legislation and we will take a stronger approach to skills development in our supply chain,” said Kirby.